Becoming a mentor can boost your own professional development, as well as helping others. Here's how to become a DHI mentor and make the most of the experience. With many companies having their training budgets cut, mentoring can be a cost-effective way to share learning and knowledge with other members within the organisation. Mentoring is a great way for employers to show that they value staff and that there is an investment in their learning and development. From an employee's point of view, mentoring is a great opportunity to show employers that you are a committed member of staff who is willing to go beyond your job description and help others. Many employers will actively look for this when recruiting. DHI have developed a scheme whereby those with the relevant levels of skill, knowledge and ability can become certified DHI mentors on our inhouse courses. 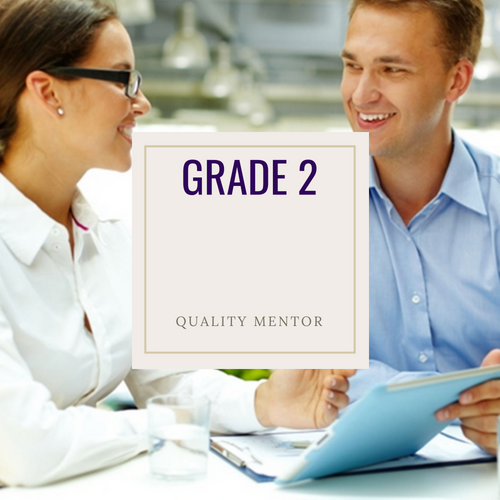 We offer a graded scheme with three grades of mentor. Certified by DHIQC to act as mentor for employees enrolled for the DHIQC Quality Fundamentals course. Requirements. 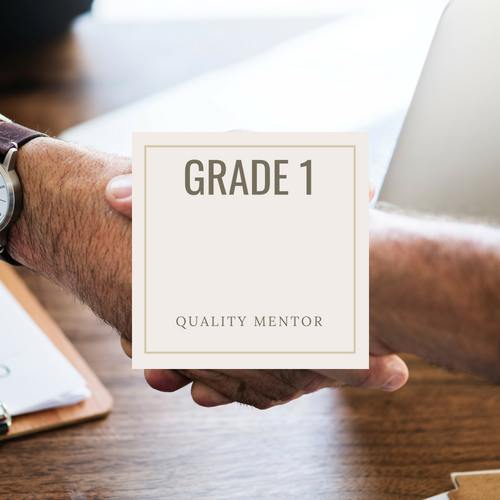 those wishing to be certified as Grade 1 Mentors must have completed the DHIQC Quality Fundamentals course and all of its tests with the downloadable certificate of achievement. For Grade 1, it is sufficient for the employer to provide assurance that the person concerned has training skills and the ability to facilitate teams. A Grade 1 Mentor will be granted authority to set up teams of students who will work together for the duration of the course and beyond if necessary. DHI would encourage this. Grade 1 Mentors will be given access to the materials so that they can conduct class room style teaching to registered students each of whom will have their own copies of the licence to use. If required, Mentors may include this course within broader courses if they wish. A student will be deemed to have completed the course when DHI receives the student's final Quality Fundamentals Certificate (Grade 5). Certified by DHIQC to act as Mentor for employees enrolled for the DHIQC Diploma in Quality Leadership. This Grade requires the candidate to have themselves completed the DHIQC Diploma in Quality Leadership to Merit level or above in all units. Students who have only achieved a pass in some units may be asked to repeat the relevant assignment with extra work. The candidate will also be required to complete the DHI/Act Leadership 3 day course which will be held in London UK (several dates in the year). This grade includes all the authorities included in Grade 1 but also includes mentoring of Diploma Students. Acting in this capacity, they are expected to support students with their course work where they need it provided that the end product is the student's own work. They may conduct internal courses related to the materials if they wish and to facilitate teams of students working on joint projects. However, they will also be expected to protect the integrity of DHIQC Products and course requirements. Grade 2 and Grade 3 Mentors will be given responsibility for the initial marking of assignments but subsequently they will be moderated by DHI appointed examiners, tested for plagiarism in order to maintain the integrity of the qualifications and to avoid the potential effect of conflicts of interest. Students are encouraged to perform group work which is one of the powerful features of the programme but must also be mindful of the fact that each student's assignment must be his or her own work and will be tested for plagiarism. Each Mentor is required to sign the DHI Terms and Conditions of contract. Certified by DHIQC to act as Mentor for employees enrolled for the DHIQC Higher Diploma in Quality Leadership. This Grade is available to candidates after having completed the Higher Diploma in Quality Leadership which includes the unit Facilitating, Coaching, and Mentoring for Quality, plus the 3 day ACT course. The unit Hoshin Kanri when completed, will enable the student to participate in a 3 day Hoshin course designed to give the participant the necessary skills to assist their own top management apply everything contained in the entire programme within their own organisation and without the need for any further external consultancy of any kind. Mentors certified to this grade may essentially regard themselves as DHI Consultants. Organisations can regard them as experts in the quality sciences and disciplines and to be able with the assistance of our course materials, to develop and support all individuals from the CEO through to all levels and all grades of direct employee. All DHIQC Mentors are expected to maintain the freshness of their knowledge and skill. Annually, they will be expected to attend a 3 day skills development course. Initially these will be held in London but may be conducted in major cities elsewhere according to need.